Due to some changes effected in the latest update of UEC packages on Ubuntu 10.04 Lucid Lynx, we have updated the Eucalyptus Beginner’s Guide to reflect those changes. Thus we have Eucalyptus Beginner’s Guide – Version 1.1. 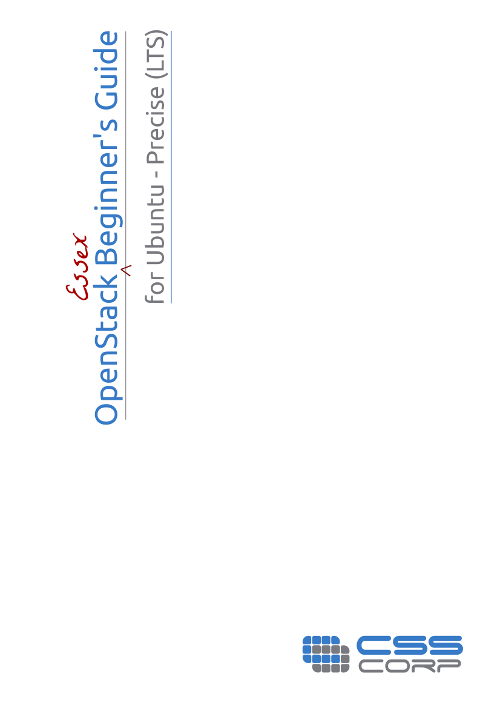 We’re also working on the Eucalyptus Beginner’s Guide on Ubuntu 10.10 Maverick Meerkat. Stay tuned to the blog to stay informed. Feedback is welcome. We have just released the PDF version of “Eucalyptus Beginner’s Guide – UEC Edition, V1.0” and you can download it from https://cssoss.files.wordpress.com/2010/06/book_eucalyptus_beginners_guide_uec_edition1.pdf. Please help us enhance the book by posting your suggestions as comments here. The latest version of the pdf will also be availble from http://www.csscorp.com/enterprise-it-support/open-source-services.php . This is a live book and will be updated on an ongoing basis based on your feedback and comments. Edit /usr/share/eucalyptus/gen_kvm_libvirt_xml to remove the lines that add “-kernel” and “-initrd” options in the libvirt.xml. The logging level is controlled by the LOGLEVEL macro in eucalyptus.conf of the respective component. The log levels are DEBUG, INFO, WARN, ERROR, and FATAL (in descending order of verbosity). The default level is DEBUG (everything). ‘tail -f ‘ on the log files is a good way to understand what is happening with the components of Eucalyptus. Bundling Windows instances on UEC setup on Lucid Lynx (Ubuntu 10.04) was not as straight forward as it was with Karmic Koala (Ubuntu 9.10). The steps for bundling, uploading and registering were the same as I mentioned here. The instance comes up nicely from pending to running state, acquires the public and private ip addresses. Lo!!! there ends the similarity…. I wasn’t able to access the instance. No network connectivity….. neither PING nor RDP works. And this was frustrating!!! As mentioned in my earlier post about UEC/Eucalyptus – Debugging instances, I tweaked the /usr/share/gen_kvm_libvirt_xml file on the Node Controller and added the VNC display option. The outcome of this was surprising!!!! When I connect to VNC, the following error stares at me…. I have had an issue with my MS-Windows 2003 server instance raised on one of the Node Controllers (NC) on my UEC setup on Lucid Lynx( Ubuntu 10.04 ). The instance came up moving from pending state to running state as expected and my hybrid fox showed public and private IPs. However, I was not able to ping or RDP into the instance. The Windows image was custom bundled and tried and tested on my Karmic UEC setup, so I was quite puzzled as to why I was unable to connect to the instance. I wished I had the luxury of connecting to the instance for troubleshooting using VNC, like I normally do when I start a VM on KVM or Xen. A little bit of probing of the Eucalyptus files on NC proved useful. Here is the hack that helped me attach a VNC display to the instance and ultimately I could identify and fix the actual problem. It is not safe to leave this option enabled on a production setup.